To estimate how many shingles you’ll need, you need to know the total square footage of your roof’s surface. Find this number by measuring the length and width of each plane on the roof (including dormers) then multiplying length times width. To find your roof’s total square footage, simply add the square footage of each of the planes together. For example, this shed roof has one roof plane. Multiply length (A) times width (B): A x B = 120′ x 100′ = 12,000 sq. ft. for the total square footage of the roof. Plane 1 (A x B): 120′ x 100′ = 12,000 sq. ft. Plane 2 (A x C): 120′ x 100′ = 12,000 sq. ft. Plane 1 + Plane 2 = 24,000 sq. ft. for the total square footage of the roof. Roof surfaces are measured in “squares” – a “square” is equal to 100 square feet of the roof. To determine the number of squares on the gable roof above, divide its total of 24,000 square feet by 100 (24,000 ÷ 100 = 240). This means you would need 240 squares of shingles to cover that roof. The most common type of shingle, called a three-tab or strip shingle, is generally packaged three bundles per square. For a new roof, you will also need the same amount of underlayment. So, in the gable roof example above, you need 240 squares of underlayment. Underlayment usually comes in rolls of 4 squares each (240 ÷ 4 = 60). So you need 60 rolls of underlayment. No underlayment is needed if you are applying shingles directly over an existing asphalt roof. TIP: Be sure to add 10% to all of your material totals for trim allowance. Finally, if you have any questions about your estimate, ask a roofing contractor in your area. Most will be happy to give you a free estimate. 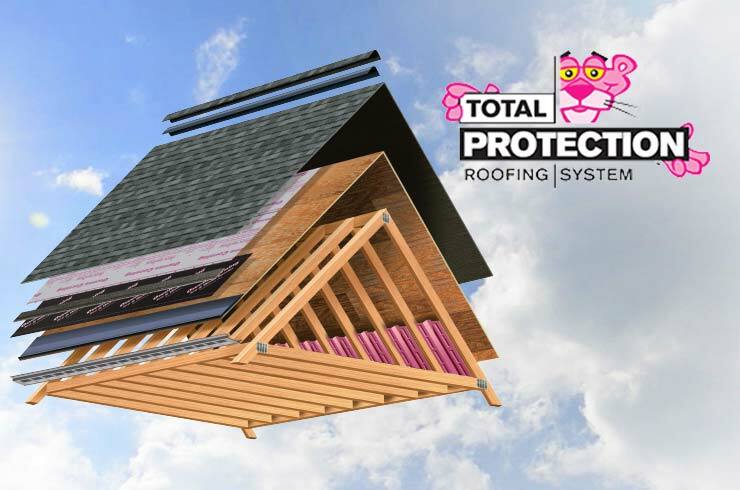 For a listing of roofing contractors in your area, use our Owens Corning Roofing Preferred Contractor locator. You will also need to know the slope of your deck. In order to determine this, measure the vertical rise of your deck in inches over a 12″ horizontal distance. If this rise is 4″, then your roof slope is 4 in 12. Roof slopes are always expressed with the vertical rise mentioned first and the horizontal run (12″) mentioned second. What if you have a steep roof? Calculate the roof length by measuring the exterior walls plus the overhang for the length of the house parallel to the ridge. Next, throw a rope over the ridge and mark it where it meets each eave. This will give the width dimension to use in figuring your area. This should be done on each roof section containing a horizontal ridge. Determine your roof pitch by using a pitch gauge (available at most home improvement stores) or a smartphone app (available free through any app store). Measure the length of the roof surface, including overhangs. Measure the span of the roof, including overhangs. Multiply the length x the span. The result will be the plane area. Use the chart below to calculate the total area of the roof. 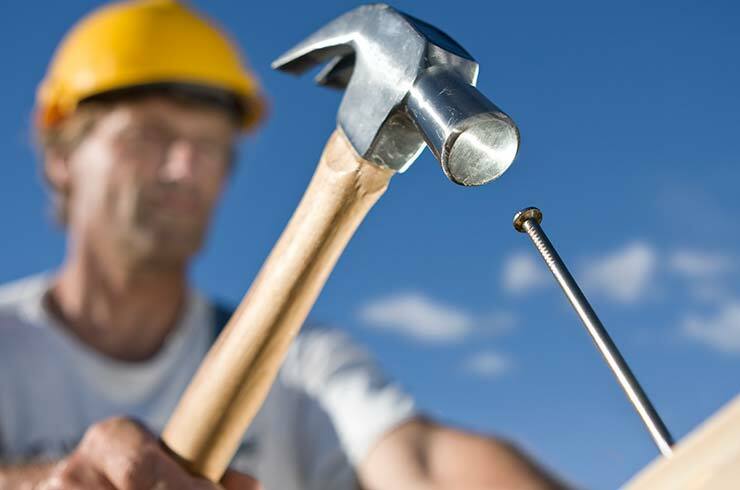 Generally, you should use four nails per shingle in the field of the roof, and 5 nails per starter shingle. For regular three-tab shingles, this would require 320 nails per square for field shingles. Multiply the number of starter shingles required by 5 to determine the number of nails required to fasten starter course. For high wind areas or when shingles are being applied to a mansard, six nails per shingle are required, or 480 nails per square. This is based on 80 shingles per square. 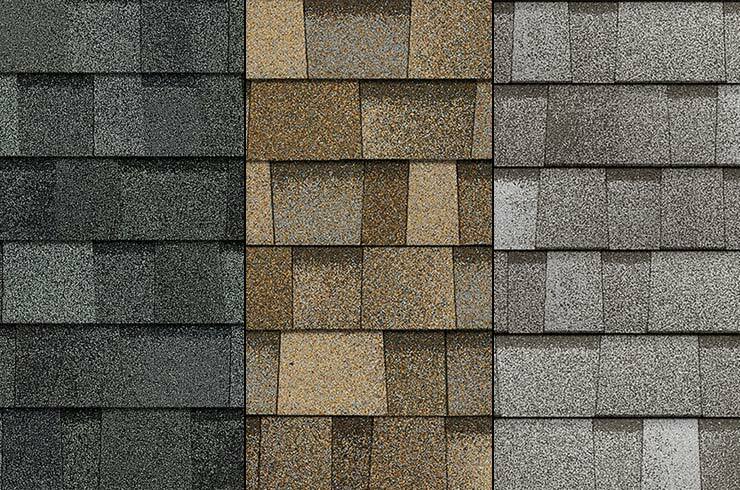 Other styles of shingles may require more or fewer nails per shingle and may have more or less than 80 shingles per square. Refer to the application instructions on your shingle wrappers for the correct nailing pattern. Always check what local building code dictates for fasteners. Ask your dealer for the correct amount of nails for your size roof, in the length you specify.